Whether your goal is a career in law, politics, Foreign Service, teaching or journalism, Carroll’s Department of Political Science will provide the training necessary to prepare you for your future. We offer excellent professors and courses that require students to develop their skills in writing, critical thinking, and communication. 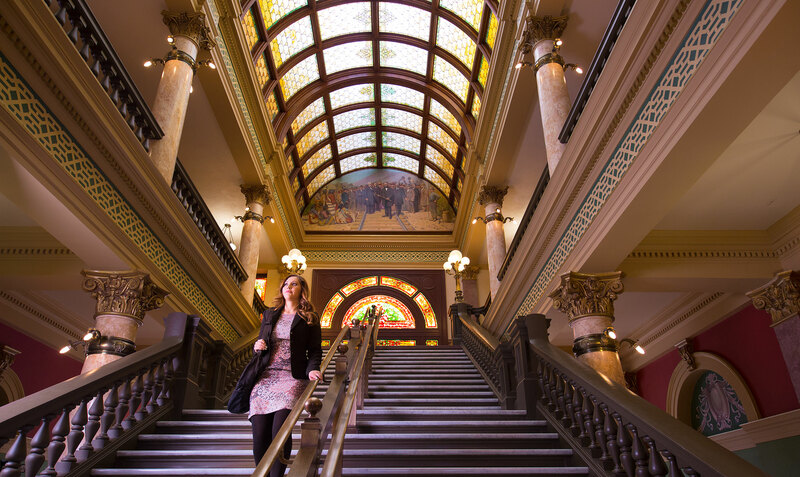 We make the most of our location in Montana's capital city. Students have many opportunities to gain practical experience through legal and political internship programs. Thanks to this combination of academic excellence and hands-on experience, Carroll political science graduates are uniquely prepared for the demands of the professional world and the rigors of graduate studies or law school. Demonstrate this knowledge and these skills by writing and presenting original research. Carroll is a great place to sharpen the skills of political analysis and argument that are crucial in many modern careers. Some of our students work in Helena for the Governor's office or for U.S. Senators while completing their studies, and go on to careers in state agencies, political campaigns, or working as lobbyists for the causes they hold dear. Others go straight to law school after graduation, or serve their communities as teachers. These saints go marching on, so don't get in their way. Thanks to a generous grant from the Apgar Foundation, from 2015-17 Dr. Parsons is running a two-year program on Constitutionalism, Ancient and Modern. This includes guest lectures and thousands of dollars for student prizes and fellowships. Learn more here.